QUESTION 1: Why do you prefer those guitars that you play at present over other brands that you may have played in the past? QUESTION 2: In order to learn flamenco guitar, is it necessary to learn classical guitar before? QUESTION 3: Can you elaborate on how to maximize my assimilation of the material once the lesson is over? 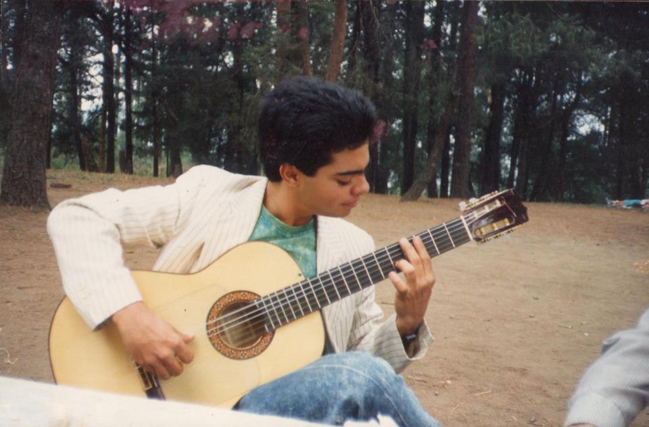 1) Two Great Guitar Solos in Antonio Rey's New Album "Camino al alma"
I would call this picture something like: “Before I found my tone” and it was 25 years ago with one of the ordinary guitars that I played in my youth.